Accepted in the Journal of Molecular Structure. A nice article by the official author (M.R.H.) 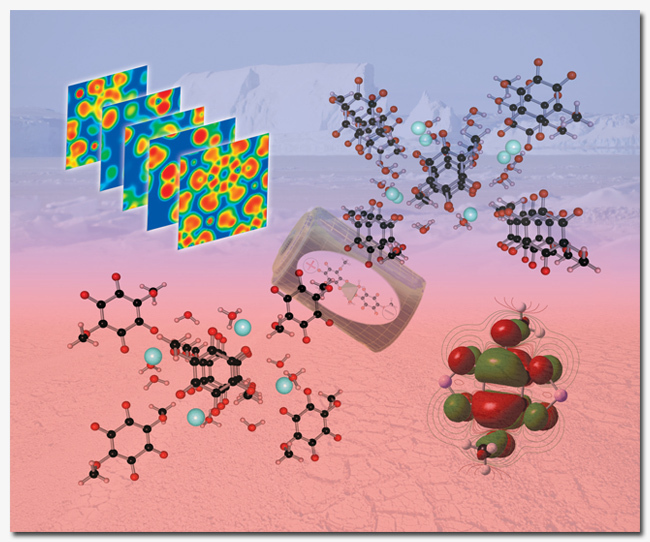 that combines multiple experimental methodologies with quantum chemical simulations using density functional theory to characterize a molecular inorganic solid with constituents known to have interesting ferroelectric and nonlinear optical (NLO) properties. We can design remarkably complicated molecules and perform rigorous quantum chemical analyses to tailor properties, but the simple molecules still hold the greatest interest to the application-focused experimentalists (something about being able to make them…). If this were a terahertz spectroscopy (THz) paper, it would serve as yet another shining example of how one cannot perform isolated-molecule calculations for the assignment of vibrational modes (as the molecules in this system, glycine and sulfate, are THz-transparent). Relevant to inelastic neutron scattering (INS) and optical (infrared and Raman) spectroscopic techniques, the interesting result of the computational analysis is the predicted overestimation of the energy of the vibrational mode corresponding to the rotation of the -NH3+ groups (in the figure below, nitrogen is in blue, oxygen is in red) in the solid-state. The question to ask: Is this overestimation in the mode energy a result of (a) the solid-state calculations (BLYP/DNP with DMol3) over-predicting the binding energy of the -NH3+ protons to their hydrogen-bonding proton acceptors (sulfate oxygens being the majority acceptor), (b) expansion of the molecules from their crystal geometries such that the hydrogen atoms are pushed closer to their hydrogen-bond acceptors (so the interaction strength and mode energy is artificially increased because the “oscillator” is smaller), or (c) the use of the harmonic approximation to estimate the shape of the potential for the -NH3+ rotor-esque anharmonic motion (which, in these rotors and similar systems (specifically methyl groups), has been generally seen to be an important (if not occasionally singular) explanation)? The answer is likely all three. Abstract: The structure of the amino acid salt glycine lithium sulfate (GLS) is determined by X-ray diffraction at 90 K and reveals no significant deviations from the previously reported room temperature structure. The vibrational spectrum of GLS is measured at 78 and 298 K by Raman spectroscopy and at 25 K by incoherent inelastic neutron scattering (INS) spectroscopy. There is no evidence of a phase transition in the Raman spectra between 78 and 298 K. Solid-state density functional theory (DFT) is used to simulate the INS spectrum of GLS and to perform a complete normal mode analysis. Discrepancy between simulation and experiment, namely the anharmonic torsional motion of the -NH3+ functional group at approximately 370 cm-1, is discussed in detail.